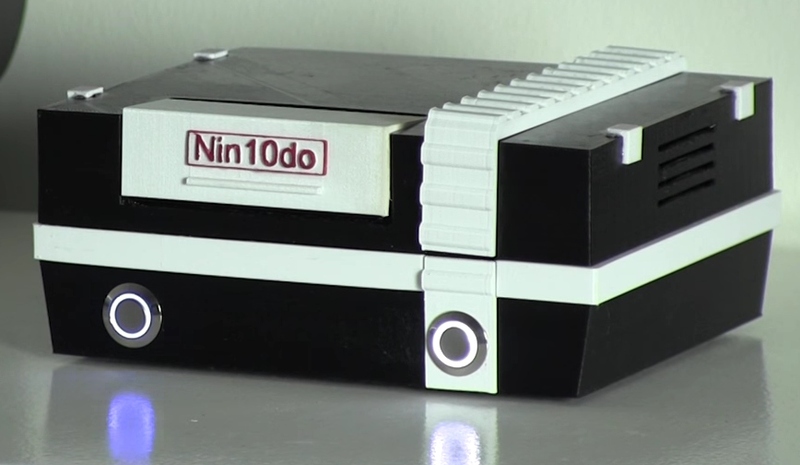 It includes a bunch of accessories like the power button, heatsinks and rubber feet. Made in the great again USA. 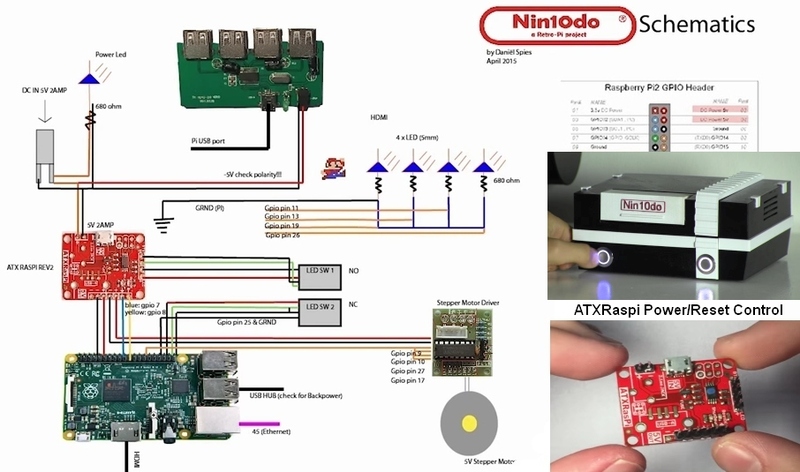 Check out the new ATXRaspi Guide for the latest updates which include the ability to use both momentary and latching switches! 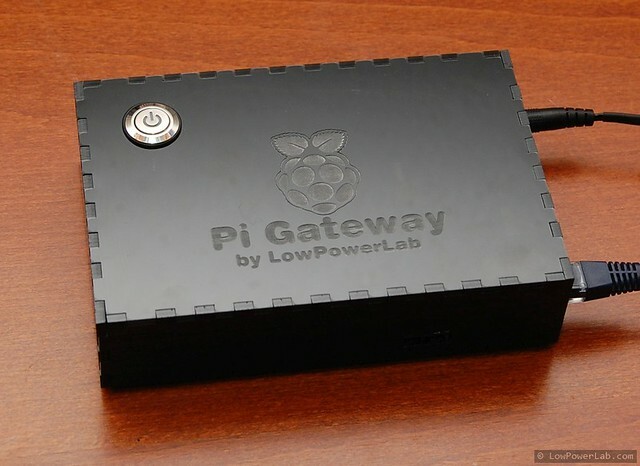 If you want to automatically power off your Pi when you run the shutdown command (ex. shutdown menu in xbmc), this can be done pretty easily through a small addition to the ATXRaspi circuit. Basically we need to tell ATXRaspi to issue a shutdown, from software rather than from the button press. We can simulate the power button press usgin a NPN transistor from any Pi GPIO. 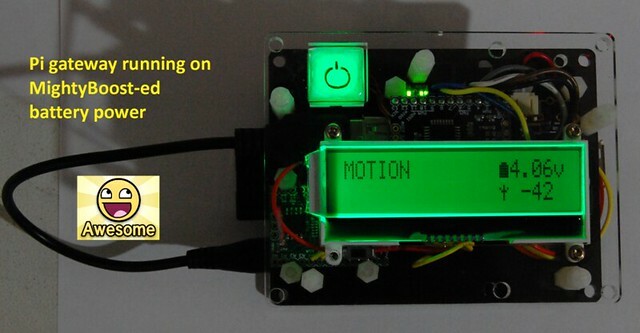 Below is an illustration how this can be done with GPIO10: Please note: this only works for momentary button operation. 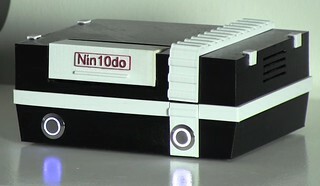 It will not work in latching/slide switch mode. This was also posted as a guide here, and was inspired from this forum thread, thanks to all contributors! This is a summary of some load tests I did on the ATXRaspi. People often ask: How much load can the ATXRaspi support? I used the following hardware, and I wanted to see how much current the official DSI display will draw in addition to the Pi. I threw in the 0.2A fan just to put an extra strain on the power supplies. Here are the 3 supplies I tried, and while all could run this setup without instability issues, the Under Voltage Warning (UVW) would come up at times, especially on the Apple supply which would show it constantly and the 5V GPIO rail would stay at ~4.8V. The best was the CanaKit 5V/2.5A, with this supply the UVW would only appear intermittently during boot, and would settle at ~5.05V after boot. So the CanaKit supply was used for the following tests. Here are the peak recorded mAmps used by the LCD, note that this MAX was registered during (re)booting. The Pi LCD settles to ~450mA after booting is complete. Here is the Under Voltage Warning that might show up. With the CanaKit supply this showed intermittently only during boot. With the other supplies it was more apparent and with the Apple supply it was constantly showing all the time. Without the LCD this warning would never show with the CanaKit supply, but would show with the others. Even so, the Pi behaved normally with all these supplies and there was no observed instability. According to official Pi release notes, the UVW shows when the 5V voltage rail drops below 4.65V. In the tests above this condition could not be recorded with any of the supplies tested, either with an oscilloscope (roll 128ksps) or with the Fluke87V in Voltage Peak Detect Mode (1ksps+). Even with the worst performer (Apple supply) the MIN peak was around 4.7V and settled around 4.85V after boot. The conclusion is that ATXRaspi supports quite a hefty load, but to avoid the Under Voltage Warning you really need a very good supply, at least 2.5A. 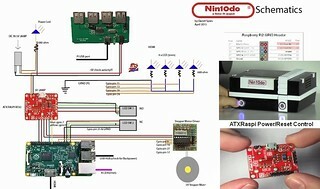 This content was also posted under the official ATXRaspi Guide. ATXRaspi will start to ship with a new reboot function in addition to the shutdown function it had since inception. This was implemented because it was a cool feature to have and also suggested by several ATXRaspi users. See video above for a full overview and setup guide for ATXRaspi. to reboot: hold the button pressed for at least 0.5s and and less than 2s. 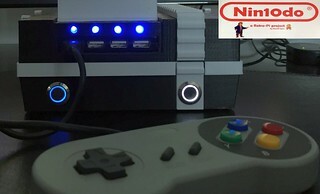 The button backlight will dim once the reset threshold is met. 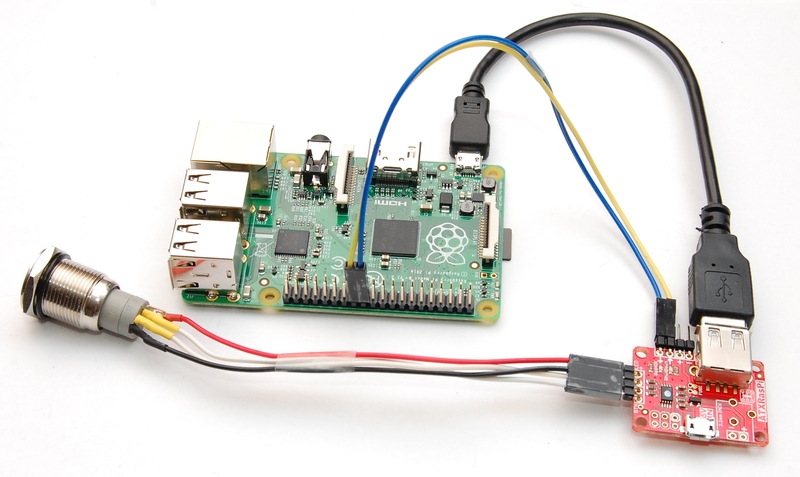 Release the button and ATXRaspi will emit a 500ms HIGH pulse on the SHUTDOWN signal pin. It will then blink the button backlight for up to 1 minute while waiting for the Pi to reboot and the BOOTOK signal to be restored by the shutdowncheck script (to become HIGH again). to shutdown – nothing changes: hold the button at least 2s. As before, the button backlight pulses slowly while the Pi shuts down. Once the shutdown is complete and BOOTOK signal goes LOW, ATXRaspi waits a few more seconds and cuts power off to the Pi. The previous version of the script was running OK, but there was an obscure side effect which I had overlooked. The script was invoking “sudo sleep” in between checks of the shutdown signal from ATXRaspi, and this in turn was generating new entries in /etc/log/auth.log every time, yikes! Thanks to Chris L. for pointing this out. 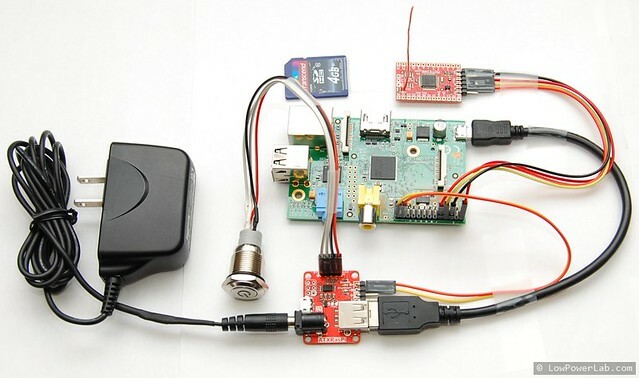 The problem with that is the Pi’s that run from SD cards will have continuous activity to the file system and onto the disk and hence increase the risk of data corruption after very many disk accesses to the flash media. As Chris noticed, this also produces over 300MB of log per week, which gets archive into about 7MB (gzipped), not terrible in terms of disk space usage but still highly undesirable. I have changed the script to remove this side effect and reflected the install changes on the ATXRaspi page. UPDATE: A big improvement is also the change to a single setup script that needs to be run to install the shutdown script. No more dependency on WiringPi. Just type 2 commands and reboot your Pi and you’re done! Another notable change was that I moved the install location from /home/pi directory to the /etc directory where system code should generally reside. I encourage all existing ATXRaspi users to upgrade to the new script. Since this is the same script that would be used by MightyBoost+bare Moteino that emulates ATXRaspi behavior, they should use the same new script. As always, please feel free to report any issues and improvements, the forum is a good place to do so.